Whether you prefer scripts, blueprints, or rapid prototypes, chances are you’re using some type of storyboard to plan and organize your e-learning projects. In most cases, successful projects depend on the designer’s use of a storyboard. Storyboards are also one of the most popular discussions in our forums. New designers ask to see examples, download templates, and learn more about workflows and using storyboards. Experienced designers share their favorite tools and tips while debating the use of storyboards and prototypes. Regardless of your experience, storyboards are a critical element in the course design process. And that’s what this week’s challenge is all about! 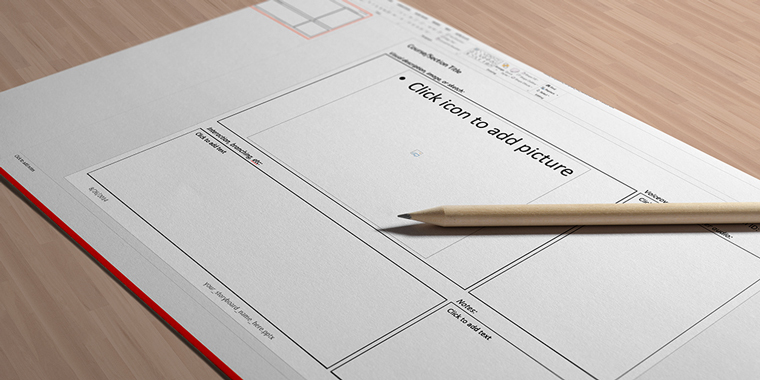 Do you have a storyboard template you’d like to share with the community? Great! Share your template in the comments and we’ll feature it in our downloads gallery. How do you define scripting, storyboarding, and prototyping? Which method do you prefer? You can use Articulate Storyline, Articulate Studio, or PowerPoint to create your e-learning storyboard examples. Here are a few resources to get you thinking about storyboards. Word vs. PowerPoint: Which do you use to storyboard your courses? Comments: Use the comments section below to share a link to your e-learning storyboard and blog post. Forums: Create your own thread in our E-Learning Heroes forums and share a link to your e-learning storyboard. Personal blog: If you have a blog, please consider writing about your e-learning storyboard process. We’ll link back to your posts so the great work you’re sharing gets even more exposure. 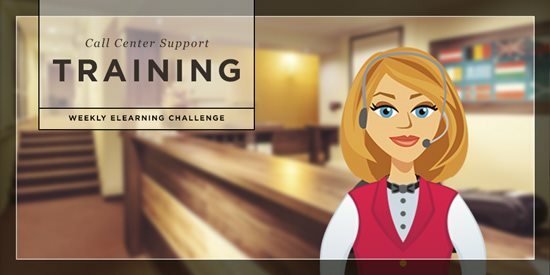 Twitter: If you share your e-learning storyboards on Twitter, try using #ELHChallenge so your tweeps can track your e-learning coolness. Facebook: Reply to this Facebook post with a screenshot of your e-learning storyboard and a link to your template or blog post. Even if you’re using a trial version of Studio ’13 or Storyline, you can absolutely publish your challenge files. Just sign up for a fully functional, free 30-day trial, and have at it. And remember to post your questions and comments in the forums; we're here to help. Hi Patricio - I'm pretty sure I wouldn't call you a newbie for using PowerPoint - or for anything else! I like your process and appreciate that you shared it along with a nice visual and some great tips. Way to kick off the challenge! Clearly signs of "un ninja del e-Learning". Love it, Melissa! Good quick overview and cute interaction. I couldn't get the Q&A link to work, but the rest was just fine. Thanks, Jackie! That's odd that the link doesn't work, it is working for me. I know that it doesn't play on iOS devices and probably not well on other mobile devices. Well done, Melissa! The reporting angle was a creative angle. I want to find more ways to add audio and video to our challenges and your example gives me some ideas. Looking forward to your write up! Great example, Donna! Good job jumping in. :) All of these approaches (plus I just saw one of our own tweet about an online storyboarding tool) demonstrate that the storyboarding method can be highly project- and/or client-dependent. @David, glad to be of help! @Ashley, thanks, I always try to hide Easter eggs in my Storyline files. I need to go take a look at everyone's submissions now. Here's the one I've started using in PowerPoint. I used to use a smaller version that just showed what was on the slide, however I've expanded that to include space around the slide to record information on animations, navigation, voiceover. There is also space available for reviewers to add their comments. I find it helps me visually to put the side content inside a "player". It helps both me and the SME to visualise it as an elearning course. The first page is to record the course title, outline and Learning objectives. Has anyone else has the experience of developing a course and realising half way through that you've not been consistent in the title? Best to write it down up front! The second page is just the template on its own. The third page shows how I separate out separate elements. e.g. right answers to a scenario / quiz in green; incorrect answers in red; information that pops up on screen in blue (change state or layers); quiz feedback in grey. It helps me organise my thoughts so when I come to build the course it goes more smoothly. First, thanks @Jeff. That Storyboard template was designed specifically for Studio '09 a few years ago. I've since been working on an updated version specifically for Storyline, but there's SO much consideration with layers, states, and even variables that it's been a challenge to effectively "template-ize" for mass reproduction. That's my personal challenge. :) Storyboarding a personal passion of mine and one I enjoy presenting and teaching. There are so many of these challenges I wish I had time to participate, but will make time to write a post for this one. Look for it soon. Hello Everyone. Thanks for all the wonderful resources and tips shared here. We do a lot of product demos and tours for our clients and it help to show the flow and sequence visually. Here is a storyboard template that we use a lot http://epiphanylearning.co.in/free-product-demonstrationtour-template-in-powerpoint-2007/ It has design templates to create a product/application feature tour and also a step / procedure list for How To type of interactions and demos. Please share/change/use and let me know what you think. Love the different approaches and examples shared. I'm a rapid prototyper myself, usually using PowerPoint or eveb a simple sketch book when I'm drawing out the basics of an interaction. This is a great challenge to reflect on when all submissions are in! Thank you all for sharing your process in such detail. @nicola, great seeing you here! Thanks for the nod, @Richard. Funny, I was just going through all my old Storyboarding articles and presentations and was looking at that article from 2011 just the other day.